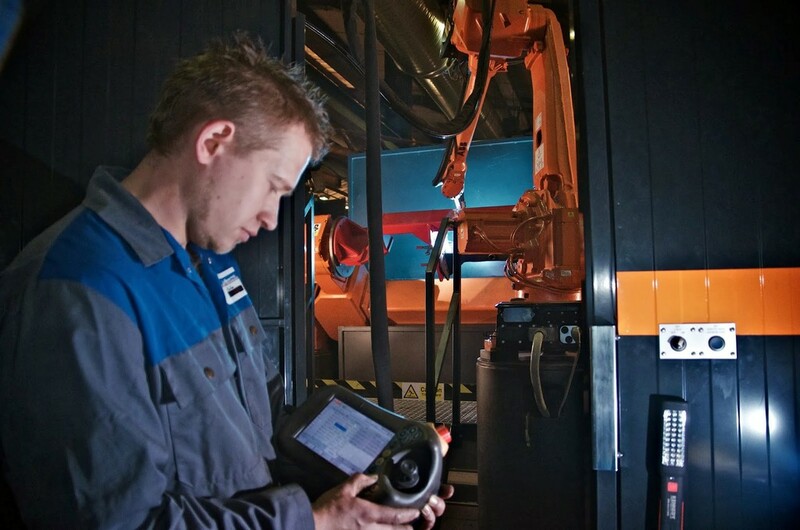 The current buzz around Industry 4.0 makes it easy to believe that everyone fully understands what’s involved in moving towards a digitised factory. Yet for a lot of UK manufacturing companies, particularly at the smaller end of the spectrum, there remains considerable uncertainty about what it means and exactly what’s involved in achieving it. Part of the challenge is that people are too entrenched in the day-to-day running of their companies to take a step back and consider how they could use the latest production technologies. In the same way as a journey of a thousand miles starts with a single step, the journey towards a digital factory should start with the things that are easiest to do first. What are you currently making? Is the quantity or type of products you are making likely to change? What thought processes are involved in its manufacture? Could they be automated? What will you make? Is the product design subject to change? What processes would be involved then? How would they need to change from how they currently are? Developments in robot technology mean that robots can now make most things – however, sometimes it might still be better for a manual worker to handle certain tasks. For example, agricultural machinery producer Shelbourne Reynolds uses a robot welding cell to handle the tasks which take manual workers over an hour to do. How long are you going to make it for? If there will be a high turnover of products being manufactured, then flexible automation could still be the solution. Contrary to popular belief, robots are equally as suited to one-off or short production runs as they are to mass production processes, with their flexibility allowing them to be used to handle a variety of different products. How will you justify the investment? Robot automation provides many benefits, but these need to be quantified in financial terms to gain the support of the financial director. What areas in your current process could be improved? It is useful to think about improvements in terms of aiming for lean manufacture, focusing on reducing overproduction and excessive movement of people or equipment throughout a process. Lean manufacturing also removes delays between production steps, reduces excess inventory and over-processing of parts and helps to find and fix defects. What are the strengths and weaknesses of your current process? How could the strengths be made even stronger? How could the weaknesses be rectified? Is there scope for collaboration? Traditional production lines are designed around humans and machines working in proximity, so when planning an installation, it is still necessary to include the human variable. Modern collaborative robots offer a raft of exciting new opportunities for closer working relationships between humans and robots that can yield higher levels of productivity. What size will you need? A small robot may fit the space available, but will it have the appropriate payload to be able to lift the materials? What type of tools would the robot require? It pays to think carefully about what you would like your robot to do and to equip it accordingly. An automotive manufacturer, for instance, may need paint atomizers whilst a food manufacturer may require grippers. By considering each of these questions carefully, a strategy can then start to be drawn up for introducing robots into your operations. Digitalisation undoubtedly holds the key to improved performance, with estimates from the Government’s Industrial Digitalisation Review pointing to a potential £455bn boost for UK manufacturing and potential annual sector growth of up to 3 percent. Making sure that you have everything and everyone in place to make it a success requires careful planning and consideration. Using robots makes it possible to start simply and build your automation strategy as your confidence grows, enabling you to take your digital journey at your own pace. Our free site surveys can help you create an effective robotic automation strategy for a digital manufacturing future. To book your visit, email robotics@gb.abb.com or call 01908 350300 ref. ‘Future manufacturing’.